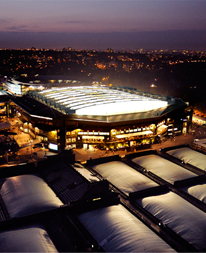 FMC is owned by Compass Group and are proud to be the official caterer to The Championships, Wimbledon. We are extremely passionate about Europe's largest and most prestigious sporting event and with a team who has a wealth of knowledge, strive to simply be the best. Have you ever wanted to work at The Championships? Just under 2,000 catering staff are required to operate the catering outlets during The Championships. Countdown with us to one of the most prestigious sporting events in the UK.